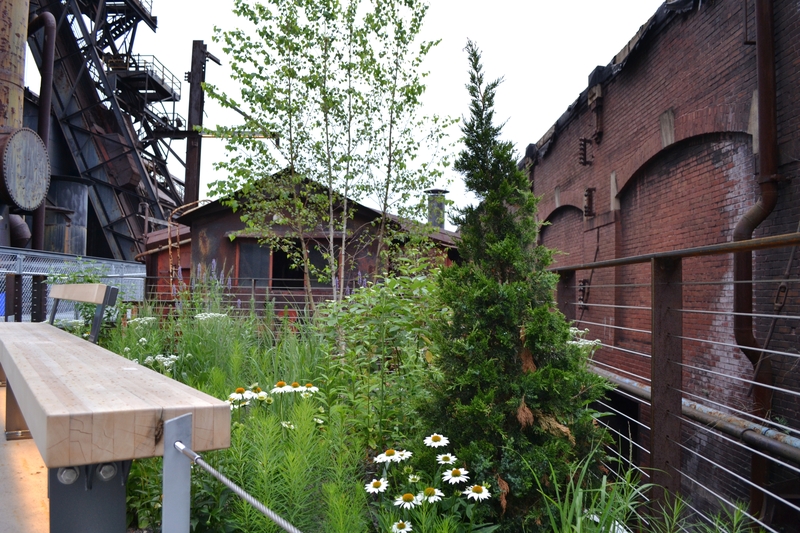 The old blast furnaces sit stagnant and aged as new life blooms in gardens on the trestle. Rust and decay hang like a peeling scab while the plants grow and thrive. The walkway was packed with excited residents to witness the view, while others were on a tour with a relative. 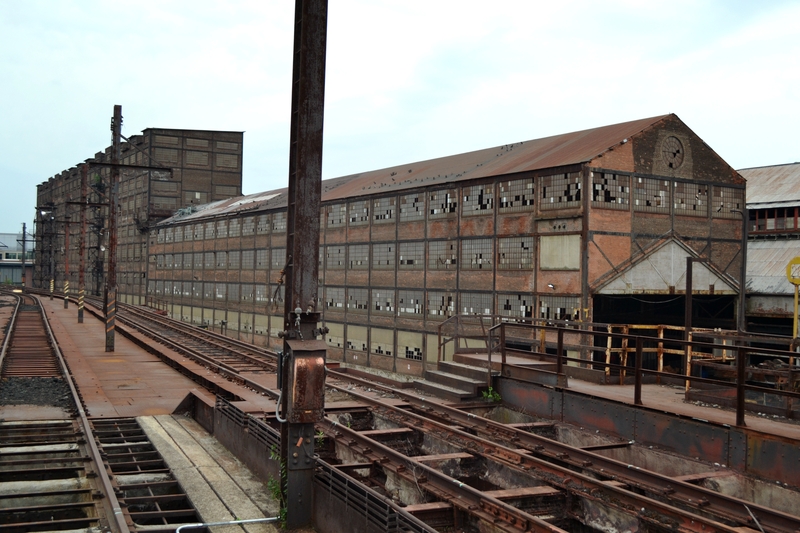 As a past employee of Bethlehem Steel, the relative relays stories and points to a past still within their grasps. Welcome to the new Hoover Mason Trestle (HMT) at Steel Stacks on the ArtsQuest campus. The view is very intriguing as you stand on this beautiful new walkway. The trestle has ultra modern gravel gardens with blooming echinacea, benches illuminated from underneath, and visitors with their DSLR cameras and selfie poles. All of this is set against these historical blast furnaces that, even on an elevated trestle 46 feet from the ground, tower over you. The juxtaposition of the past and present is mind boggling and prepossessing. The visual allure is just one reason to check out the HMT. A second is the educational experience. The trestle is intended to be a narrative museum of the days when Bethlehem Steel was in full operation until its demise. The story begins on one side of the trestle relayed through numbered stations to the end where a sign describes first hand accounts of the last day of the blast furnaces almost two decades ago. By the end of the self-guided tour you are nearly brought to tears. 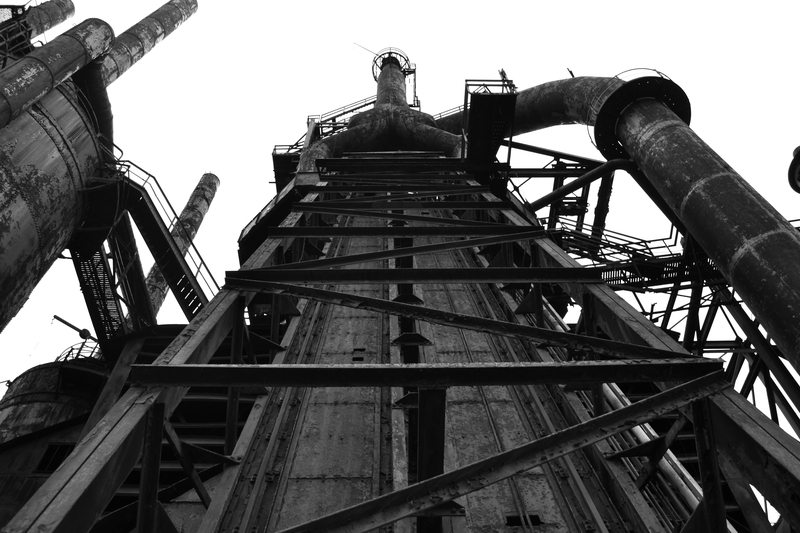 This is especially so if, while on the tour, you are in earshot of past employees of Bethlehem Steel – the HMT certainly brings a new life to a this historic icon of Bethlehem. Also see #meethoovermason on Instagram for some amazing snapshots!